One of the most exciting parts about life at Lake Norman is getting out on the water! 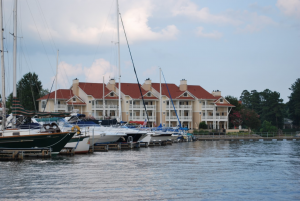 There’s tons of activities to choose from like water sports, beaching, fishing, and chartered cruises, but most Lake Norman residents say their favorite by far is simply relaxing on their boats! If you’re like most people, boating sounds great in theory but owning one is a whole different ball game…it comes with the responsibilities of maintaining it and storing it properly, which can be a bit of a burden. Luckily, Freedom Boat Club has you covered! With over 30 boats available to members in 16 different varieties, they guarantee availability at all times plus unlimited boat use, weekends included! It’s easy to have a great time on the Lake weather you own a waterfront property or live off-shore. When comparing purchasing a boat to purchasing a boat club membership, the benefits of purchasing a membership fully outweigh purchasing an actual boat – especially when you choose the right club. With a membership, you don’t need to worry about cleaning, maintaining, and storing your boat – all of which have extra associated costs as well as a significant amount of time dedication. You also have the option to switch up which type of boat you go out in, every time! There’s a multitude of options, from pontoons (some with attached slides!) which are great to include the whole family, to lesser-passenger speedboats. With a membership, you call ahead to reserve your boat, show up, and you’re off! No need to worry about selling or moving your boat if you ever decide to leave the area, just simply cancel your membership – typically with no cancellation fees if you give proper notice. The choice seems clear, and is very much evident in the amount of memberships currently held by Lake Norman residents! 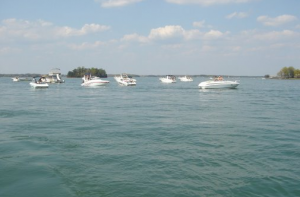 Freedom Boat Club is one of Lake Norman’s most popular choices in boat clubs, largely due to their wide variety and selection of boats to choose from. However, their customer service goes a long way as well…they are always friendly and knowledgeable, and actually want to help you and your group have a fantastic time on the water. Everything you need is included in your membership with the exception of gas. They offer free ice, as well as water toys like rafts and saddles, to add to your enjoyment. Freedom Boat Club has over 145 locations throughout the US and Canada. There are two locations within 20 miles of Lake Norman – one in Cornelius which services Lake Norman and one in Mount Holly, North Carolina which services Lake Wylie.